OK - found it on Chris Hadfield's (Comm of ISS) Twitter page, but sadly without any word as to origin. However someone replied with this image - but again, without saying where they got it from, annoyingly! Was there a legit caption with that picture where you found it? I don't have many pics of my grandfather on my dads side but its just possible that could be him in the suit. 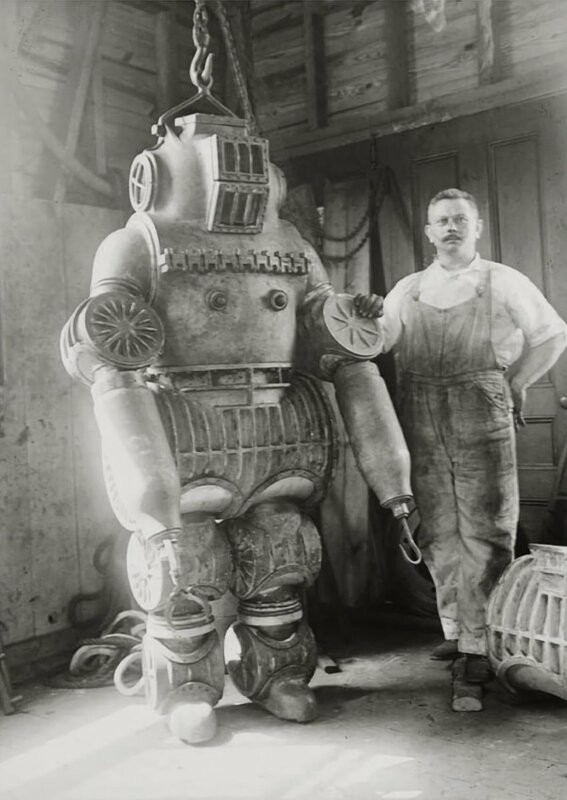 He was in the merchant navy and then involved in some interesting salvage operations IIRC including one of the early uses of underwater robots. It would be interesting if that was a pic of my granddad Captain Jack Carlton. Good heavens, that's your granddad?!?! What are the odds of that?! It's an image I got off Twitter - IIRC it was from one of Prof Brian Cox's tweets. I'll have a dig about Twitter and see if I can find it & report back. Its looks like it could be my grandad but I have not seen many pictures of him so not sure if it is. It would have been nice if there had been a caption commenting who it actually was to be certain. I have a book in which he was mentioned where he was involved in the deepest salvage of gold from the sea *1 it was for the government *2 recovering bars of gold that were lost in the seconded world war and used for the national war debts. Grace Speaker wrote: OK - found it on Chris Hadfield's (Comm of ISS) Twitter page, but sadly without any word as to origin. However someone replied with this image - but again, without saying where they got it from, annoyingly! Oh well thanks for looking that guy in the new image does not look like any relative i know but the 1st picture might have been as also looked a little bit like my dad who i remember much better from the small bit of face shown in the suit . Edited to add but that one does look like he could be a relative of Chris Hadfield's or is it just the moustache? It would be interesting in a degrees of separation way if our relatives were mates on a ship many moons ago. One of the family stories i did hear about my grandad was that he said if he had to live somewhere else other that England it would either be Canada or New Zealand both places he saw in his travels. SANEAlex wrote: Oh well thanks for looking that guy in the new image does not look like any relative i know but the 1st picture might have been as also looked a little bit like my dad who i remember much better from the small bit of face shown in the suit . My grandad would have been alive in 1924 then & just about plausible that it could have been him though i suspect he might have looked a little younger, but with your helpful hints and a bit more digging it seems that Chester E Macduffee is the one i thought might have been Chris Hadfield's relative and the one i thought might have been my grandad turns out to be Explorer O.E. Gandy according to this website below and from 1907 so unless he is one of my great grandfathers I'm off the mark. SANEAlex wrote: My grandad would have been alive in 1924 then & just about plausible that it could have been him though i suspect he might have looked a little younger, but with your helpful hints and a bit more digging it seems that Chester E Macduffee is the one i thought might have been Chris Hadfield's relative and the one i thought might have been my grandad turns out to be Explorer O.E. Gandy according to this website below and from 1907 so unless he is one of my great grandfathers I'm off the mark. Hah! 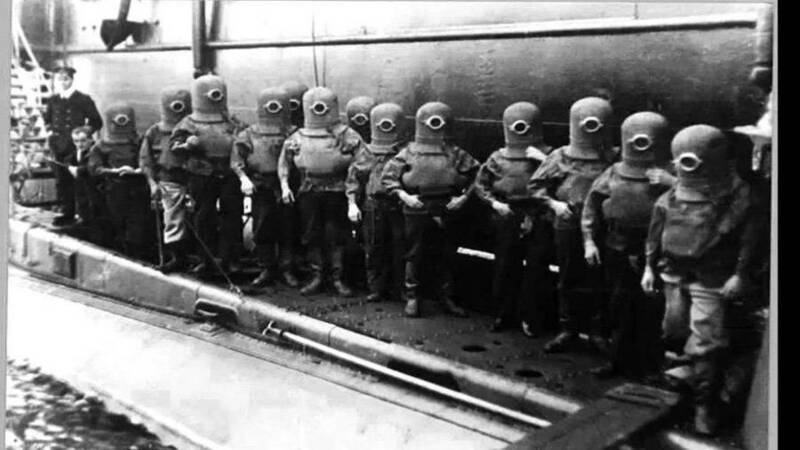 They had Minions in 1908! Who knew! First female prototype of IRON LADY. You want me to chew baccer? But I'm too young to smoke! The SECOND the human lets go, I'm going all Wookie on her! Rawwwwar! You all know what's the first thing I think of, right? Drop the tuna, and back away slowly.